Today’s trends in architecture point towards finding smart building solutions, that will make use of natural energy, consume as little power as possible, and at the same time – keep everything aesthetic, comfortable and beautiful. Once in a while, a great idea surges forth and amazes us all. Usually, houses are built to be suitable to the local climate. So, for instance, a house built in the North of Scotland will usually be built to maintain internal heat, while a house built in Arizona will work to cool the interior. 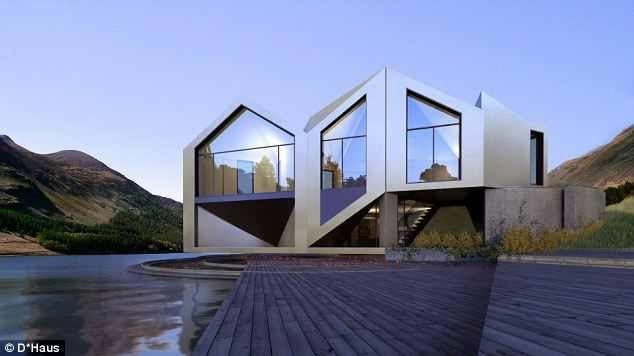 And here comes D*Haus, the amazing dynamic house that can change its shape to suit the current weather! 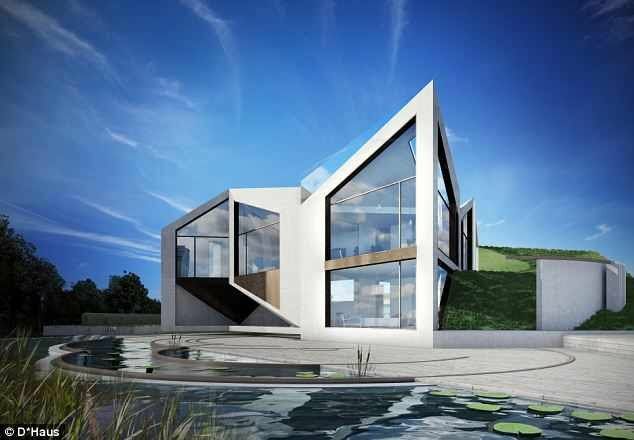 This house is the brain child of British architects David Groenberg and Daniel Wolfson, who wanted to come up with a house that will be suitable for any weather, cold or warm. Their creation, D*Haus, can change its shape in 8 different combinations, that react to the changing seasons, meteorological changes and even astronomical changes. Using special rails, the various parts of the house can change their location. One can set an automatic program that will slowly change the house according to the trajectory of the sun, thus enabling its residents to enjoy the sunlight all day long. Solar panels power this amazing creation. In addition, the house’s thick outer walls can open up to interior walls and so glass becomes the outer wall, and lets the sunshine in. Doors can become windows and so release pent up heat. The architects used a 100 year old mathematical idea by Henry Dudney. 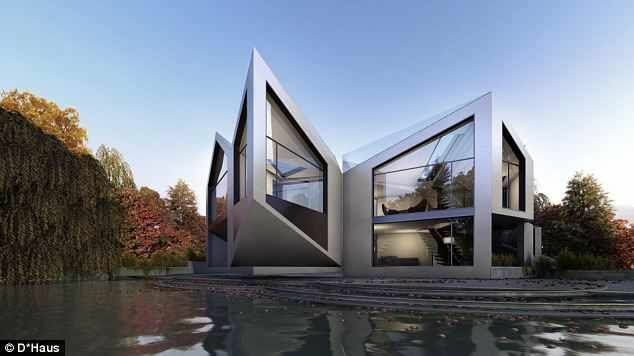 Now, 100 years later, his work has joined with their creativity to create this amazing dynamic house.